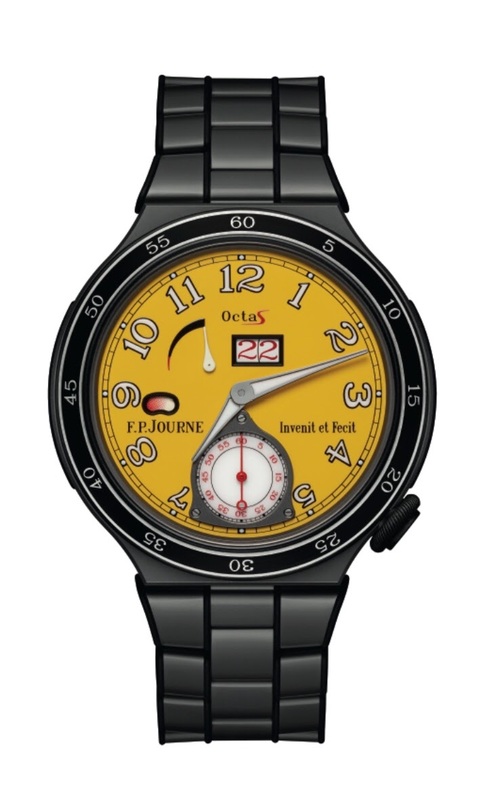 F.P.Journe introduces a new design for the Centigraphe Sport and the Octa Sport. 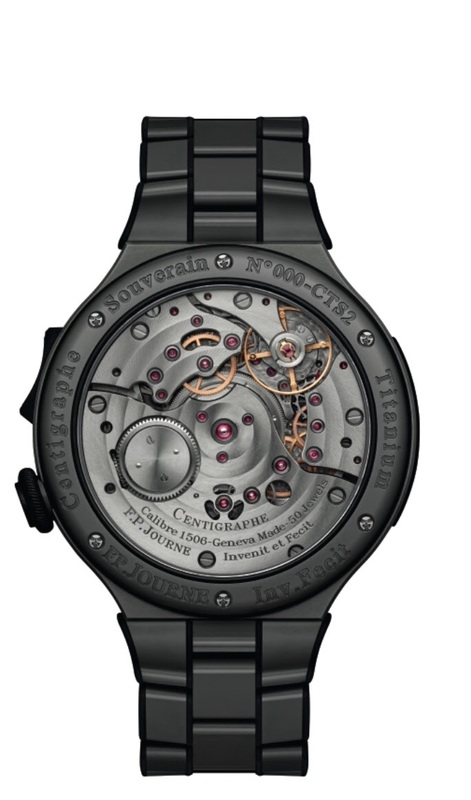 The two models are available with a 44 mm diameter case in Titanium grade 5 of anthracite color with an assorted bracelet. 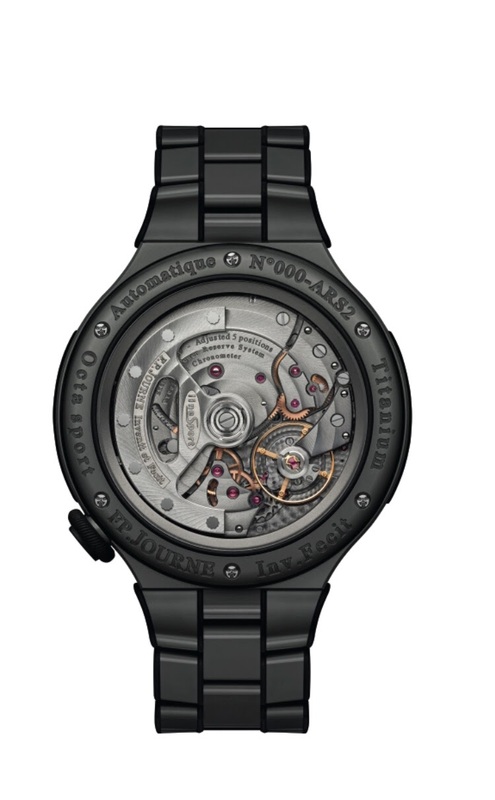 The bezel in Titanium and ceramic follows the codes of the Chronographe Monopoussoir Rattrapante with numbers engraved in the Titanium base. 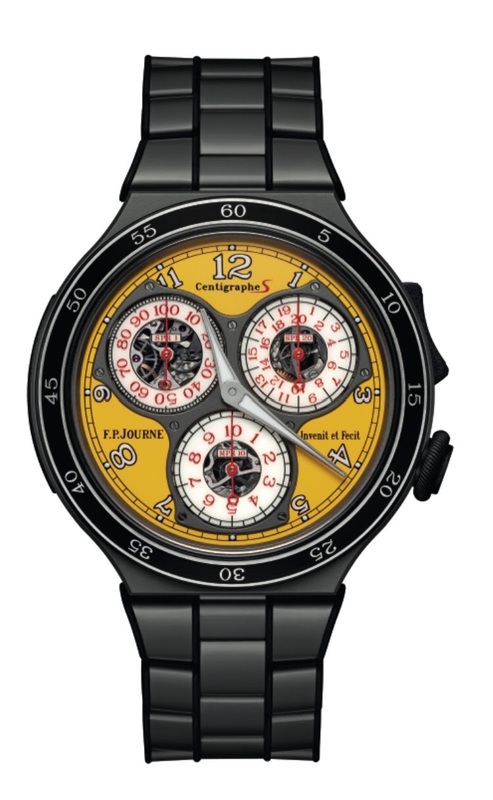 For the first time, a new bright yellow dial brings a new intensity to the lineSport with luminescent applique numbers surrounded with black as well as sapphire counters with red numbers.